The YouTube subpocalypse is for real and my YouTube channel could use your support. I need 1,000 subscribers to survive and it's at 801 subscribers right now, an increase from when the bad news broke, but I still need 199 more. While the revenue generated is small compared to a Game Grumps or a NoDQ it's still very much necessary to keep our operation running. Please subscribe to Mistah MegaManFan and help me out! 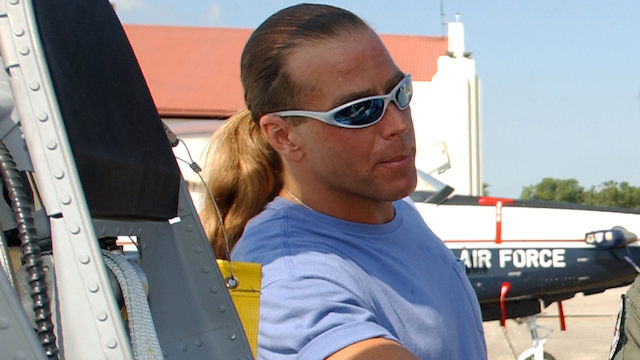 In this interview Shawn Michaels explains why he shaved his head: "Before this storyline started, I was doing a movie! I did this independent movie in Texas where I played a younger version with my hair and then I played an older version of me that got sick and everything else, so that's why I ended up shaving it for the movie. And then, I get called in to do this thing, and I thought, 'Do you know what? Hunter has got his head bald. I'm just going to go ahead and leave it that way.' And I was thinning up there anyway, man, and so it was better to just chop it all off." From Ring of Honor: "ROH and The United States Marine Corps Toys for Tots Foundation has formed a powerful tag team to help the less fortunate children of New York City this holiday season. On December 14 at Final Battle, we ask if you could please bring a new, unwrapped toy to donate that will make a child’s Christmas that much brighter. For more information on Toys for Tots, please visit: toysfortots.org." Two tasteless promos on Raw last night caught the attention of social media. WWE is reportedly trying to sign ACH. (PWI) If he's smart (and he is) he'd GO GO anywhere else. 3:00 PM ET. Ric Flair was on the sideline for Monday Night Football last night. A plan has been formed to save the Mid-South Coliseum which has been inactive for over a decade. In this interview http://www.wrestlinginc.com/news/2018/11/brian-pillman-jr-says-that-a-run-in-njpw-is-a-possibility-648049/ Brian Pillman Jr. says he wants to work for New Japan Pro Wrestling. 6:00 PM ET. The WWE related videos above have been updated. Enjoy!